This is the story of Smithsonian Journeys. From the Smithsonian was born an idea to bring the world’s cultures and natural sciences alive in experience-rich travel. Inspired by the Smithsonian mission, the “increase and diffusion of knowledge,” Smithsonian Journeys fosters the power that comes through travel—unlocking knowledge and cultural awareness—to better understand the world. When you join our community of curious travelers, you will engage with the world through the Smithsonian lens, enjoying a memorable, immersive, and transformative experience. And, importantly, your participation benefits the work of the Smithsonian, helping to make the world a better place by preserving and celebrating what we cherish from our common past, present, and future. Smithsonian heritage and community Powered by more than 170 years of prestige and trust in the Smithsonian, our trips mirror the reputation, varied collections, research, and community of the Institution. On any given trip, you’ll travel with intellectually curious, worldly, and adventurous life-long learners, and forge lasting friendships with others who share your passion for deeper learning and exploration. 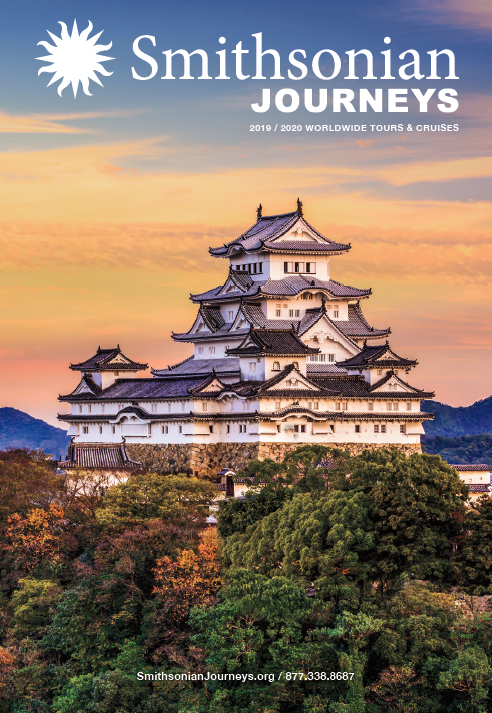 A quality experience With more than 350 departures on all seven continents, Smithsonian Journeys has been renowned for almost 50 years for superior service, special access, and the personal touch of Smithsonian Journeys Experts, travel directors, and other staff. Plus, you’ll always find the ideal ships and distinctive properties that reflect the culture of your destination. Educational emphasis Travelers return again and again due to the fun and engaged learning at the core of every Smithsonian Journeys tour and cruise. You’ll revel in the meaningful enrichment and insider perspectives brought by insightful, world-class, and charismatic Smithsonian Journeys Experts and local guides.